Master Box Dimension : 22" X 19" X 23"
Bag of 30 pieces of chicken eggs that look realistic to the eggs bought at the grocery store or fresh from the farm. 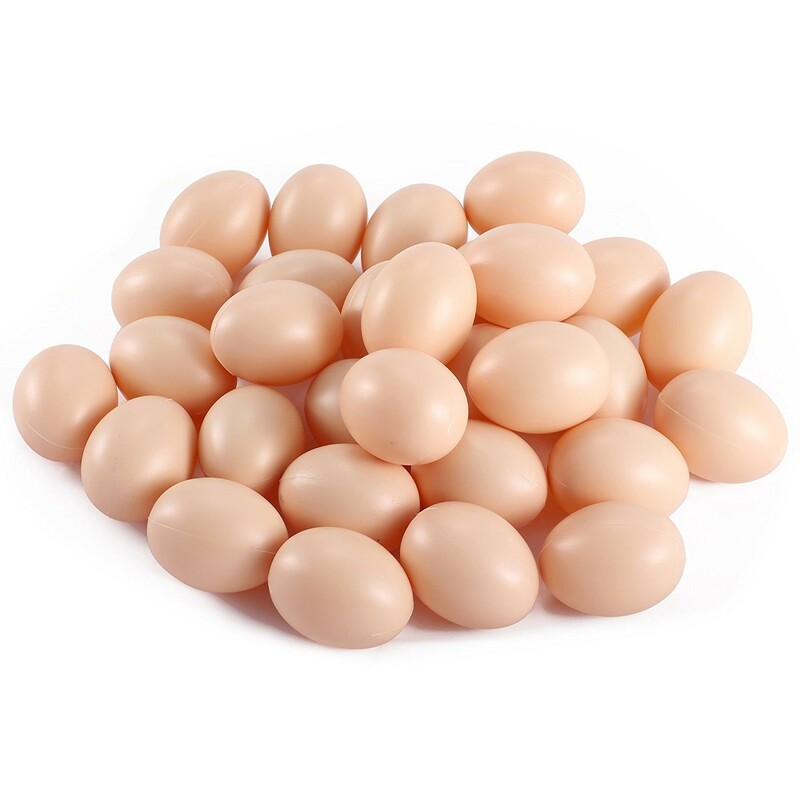 These chicken eggs are similar size to the real eggs and you get a value of 30 pieces of eggs. These can be used for egg hunting competition, great for pretend play, or decorate them with unique design for Easter time. The eggs are made out of durable plastic, so they can be thrown carefully around without damaging them entirely. Eggs are versatile and can be used for many creative fun projects or play time.